Does Your Style Affect Your Politics? The Answer & A Cool Giveaway, Here! Want to rock some patriotic nail art in the voting booth but aren't quite up for a candidate-themed manicure (à la Katy Perry)? You’re in luck! 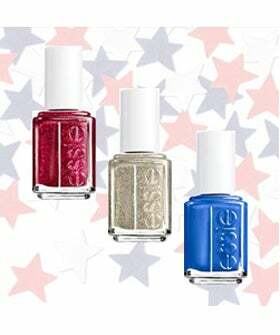 Refinery29 has teamed up with Poshly to give away a trio of fabulous Essie nail polishes – Leading Lady, Butler Please, and Beyond Cozy – perfect for casting your ballot. Signing up is easy — and informative. All you have to do is take a quick quiz and you’re entered to win. What generous team is behind this oh-so awesome giveaway? Poshly is a fun info-grabbing service that helps build correlations between style personas and tastes. Of course, for the big day tomorrow, Poshly wants to see how style relates to politics: Do girls who shop online more vote for Romney? Does a Facebook reliance mean you support Obama? Does your style icon affect your political positions? These cool questionnaires set out to tackle these tough questions, while also supplying the added incentive of a killer beauty-related giveaway. Plus, you'll be able to enter future beauty contests. Easy, right? So, go ahead and sign up to take our Refinery29-curated quiz…then get ready to rock the vote.